For the latest in game schedules, check the Calendar at the top of the page. If you'd like to access your student(s)' grades, the district can provide you access to the Parent Portal. There you will find information about your child(ren)'s classes, grades and more. If you are new this year, or have forgotten your access code, call the school for help. 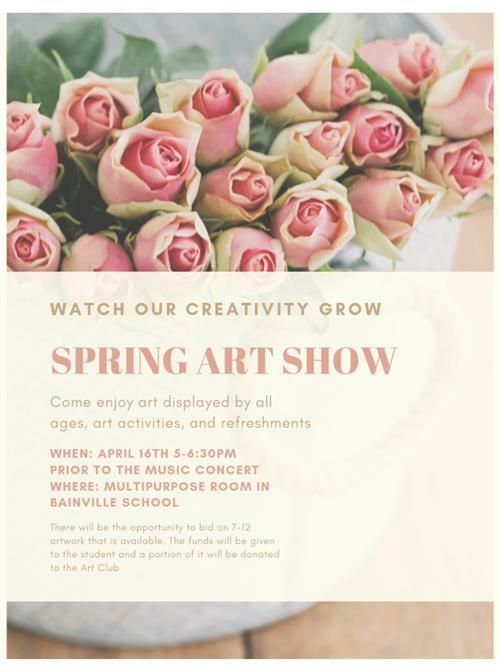 Bainville Public School is pleased to have many programs in place for students. From our multi-tiered systems of support for students to our mentoring program for new teachers, Bainville's purpose is to give our students a quality education. We offer many activities and athletic options for students as they progress through their education. From golf to baskeball and art club to FFA, students have a variety of options to remain active and develop their skills. We are proud that we have many parents involved--including classroom volunteers,coaches and employment in support roles in the district, parents are welcome at BPS. At Bainville Public Schools, we have made it our mission to educate all students for lifelong success. Our vision is that all students will become responsible, caring, and productive citizens of society in a setting where: students, parents, staff, and community members share responsibility; district leadership motivates people, policies, and decisions; and all resources are used effectively and efficiently.